Mike Mignola is slated to conclude his series Hellboy in Hell with the tenth issue's release on June 1. That's not quite the end of the run though, as Dark Horse will also release Hellboy in Hell Volume 2 in October. 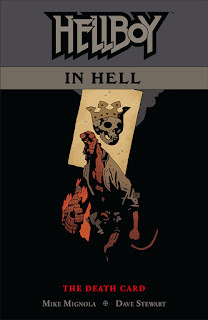 In advance of the release of the series’ conclusion, Dark Horse Comics has released the cover to Hellboy in Hell Volume 2 by Mignola and colorist Dave Stewart. Following the conclusion of Hellboy in Hell, Mignola will take a year off from illustrating interior comic book pages in order to focus on fine art painting. 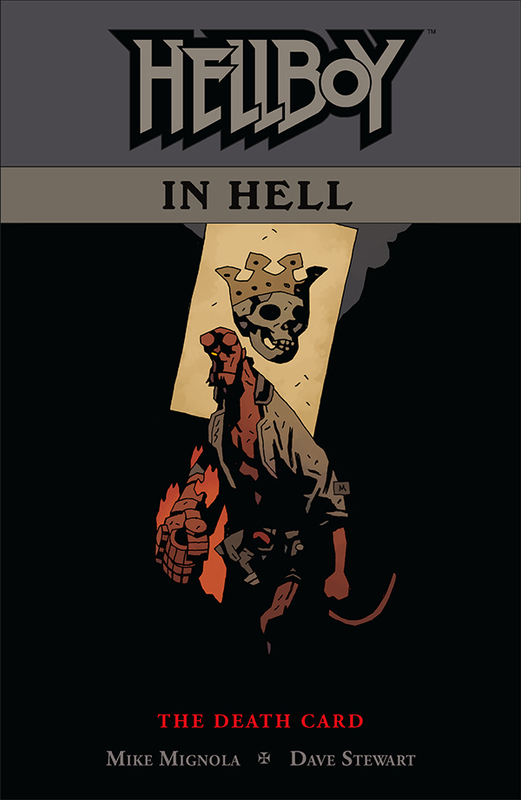 March 22, 2016— Legendary comic book writer/artist Mike Mignola will conclude his critically acclaimed seriesHELLBOY IN HELL in 2016, when Dark Horse Comics publishes the final and tenth issue on June 1 and the trade paperback, HELLBOY IN HELL Volume 2 which collects issues 6 through 10, in October. In advance of the release of the series’ conclusion, Dark Horse Comics has released the cover to HELLBOY IN HELL Volume 2 by Mignola and award-winning colorist Dave Stewart. Following the conclusion of HELLBOY IN HELL, Mignola will take a year off from illustrating interior comic book pages in order to focus on fine art painting. MIKE MIGNOLA’s fascination with ghosts and monsters began at an early age; reading Dracula at age twelve introduced him to Victorian literature and folklore, from which he has never recovered. Starting in 1982 as a bad inker for Marvel Comics, he swiftly evolved into a not-so-bad artist. By the late 1980s, he had begun to develop his own unique graphic style, with mainstream projects like Cosmic Odyssey and Batman: Gotham by Gaslight. In 1994, he published the first Hellboy series through Dark Horse. As of this writing there are twelve Hellboy graphic novels (with more on the way), several spinoff titles (B.P.R.D., Lobster Johnson, Abe Sapien, and Sir Edward Grey: Witchfinder), prose books, animated films, and two live-action films starring Ron Perlman. Along the way he worked on Francis Ford Coppola’s film Bram Stoker’s Dracula (1992), was a production designer for Disney’s Atlantis: The Lost Empire (2001), and was the visual consultant to director Guillermo del Toro on Blade II (2002), Hellboy (2004), and Hellboy II: The Golden Army (2008). Mike’s books have earned numerous awards and are published in a great many countries. Mike lives somewhere in Southern California with his wife, daughter, and cat.